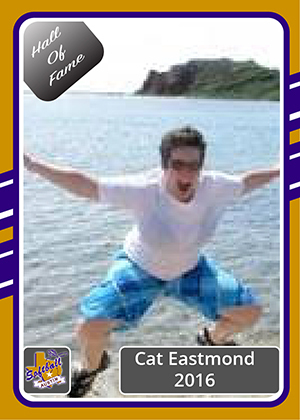 Cat moved to Austin in 2005 from Detroit, Michigan, and joined Softball Austin, first playing on a D division team named the "Closers", and later founding the Love Monkeys, first an open division team in 2007, and later an inaugural women's division team in 2012. She has served as Softball Austin's delegate to the ASANA organization since 2010, representing Austin as a member of ASANA's ethics and IOG committee. Recently, she accepted the role as the first women's division commissioner for Softball Austin, and successfully bid for a 2017 ASANA World Series in Austin. Albert Rodriguez is the Commissioner of Softball Austin. Albert was part of the original bid committee to help secure the 2016 Gay Softball World Series for Austin. 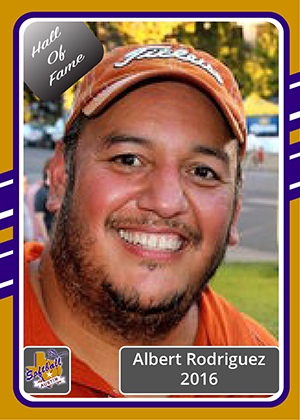 Albert has been involved with Softball Austin since 2008 as a fan, manager, Texas Shootout Tournament Director, Softball Austin Competition Coordinator and Softball Austin Commissioner. Under the direction of Albert, the Texas Shootout Tournament has grown from 52 teams to a record 68 teams. The Texas Shootout is now the largest LGBT Softball Tournament in Texas and the region. Seeing the growth and opportunity, Albert helped separate the Texas Shootout into two tournaments with the Women's division enjoying their own tournament weekend. Given his experience with the Texas Shootout Tournament and having first hand knowledge as a fan, coach and manager on several GSWS World Series teams, Albert serves as an Advisor to the 2016 Gay Softball World Series. 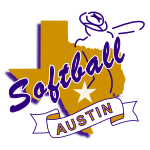 Rich Segal has been a member of Softball Austin since the 2005 spring season. His tenure on the Softball Austin Board began in 2007 as secretary-treasurer before moving to being secretary in 2009. He served as secretary until 2010, then returned in 2011 and remained the league's secretary until 2013 when he successfully ran to be the league's Assistant Commissioner. He continues in that role today. Among the things he's most proudest of is securing the league's first non-profit status, the continued work in streamlining the league's Instruments of Governance, and, most importantly, the continued growth of the league. 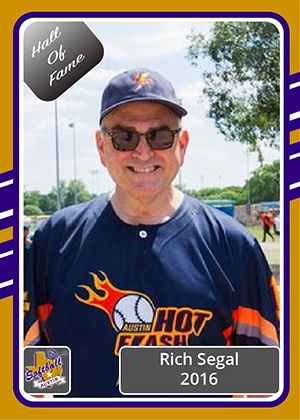 Rich has been a member of B Division teams Bat Boys (2005 to 2009), Marvels (2014), and, most recently, the Hot Flash. He has always served in the roles of base coach and scorebook manager. Rich has been to all eleven GSWS since he joined the league whether with his team or to assist another Austin team doing its scorebook and/or base coaching. Rich also serves as an Advisor for the 2016 GSWS being held in Austin in August.